A highly talented musician who needs no introduction, Vern was part of the birth of the BFJ. 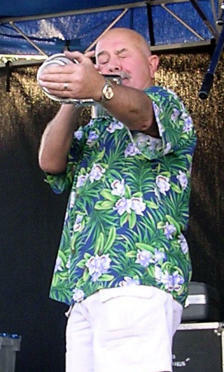 He has made several CDs with his band, The New Orleans Jazz Gathering. Favorite song: Jimmie Noone’s “Apex Blues”. 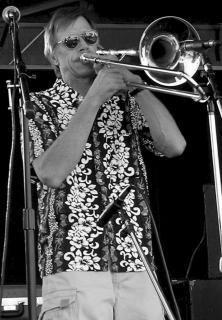 A member of the Queen City Jazz Band and a long-standing member of BFJ, John has been a jam leader many times in the past. He has played with the Prohibition Six, Your Father’s Mustache, Hot Tomatoes, and Alan Frederickson’s Jazz Ensemble. 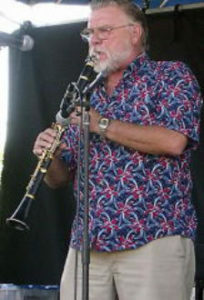 A former New Zealander, Derek brought his horn and love of Dixieland style with him. A founding BFJ member, his signature tune, “Sugar Blues,” can be heard every time he takes the stand. He can often be heard leading the Prohibition Six. A Boulder native and graduate of the University of Colorado, Kristin leads the Crystal Swing Band and the Vibe Tribe. 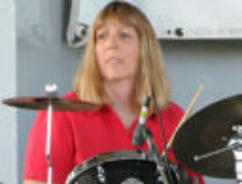 She is also a member of Swing, Inc. and freelances with numerous bands in the metro area. Kristin is currently the Events Coordinator for Naropa University. Doug gets around. He’s played with The Prohibition Six, Your Father’s Mustache and Dixieland Express. A teacher of elementary music in Jeffco Schools, to hear him singing Rudy Valee-style through a Harmon mute is just fun. 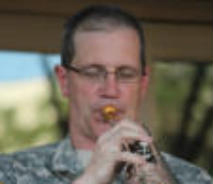 Lance is the leader of the 101st Army Dixieland Band of the Colorado Army National Guard. 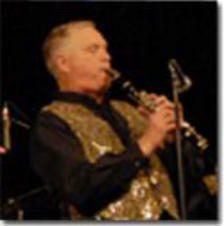 He has performed with the Queen City Jazz Band, Your Father’s Mustache, Ted Shafer’s Jelly Roll Jazz Band, The Jazz Cookers and others.